Bye bye, "Curse of Nolan." That is, assuming it ever existed. Which, of course, it did not. 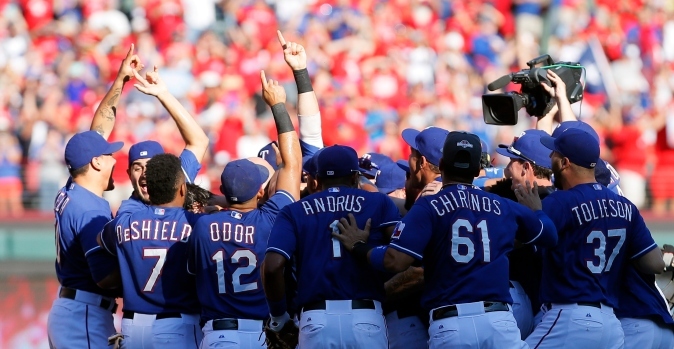 Among the most rewarding elements to the Rangers’ amazing season — climaxed by Sunday’s 9-2 win over the Angels, which won them the AL West — is the burying of the irrational idea that former President Nolan Ryan built the Rangers’ previous success and that general manager Jon Daniels would never field a winning team without him. Sorry, Nolan Ryan die-hards. Today is your discombobulated theory’s funeral. I suggest wearing, um, red. Ryan is a national treasure, a local icon and a 10-gallon hero. He has the 7 no-hitters, 300 wins, 5,000 strikeouts and he’ll always be revered for putting Robin Ventura in that bloody headlock. But — admit it — Daniels is a younger, brighter baseball mind. The Rangers were on their way up well before Ryan arrived in ’08. Daniels had already hired Ron Washington, acquired Josh Hamilton and engineered the Mark Teixeira trade that produced Matt Harrison, Elvis Andrus and Neftali Feliz. 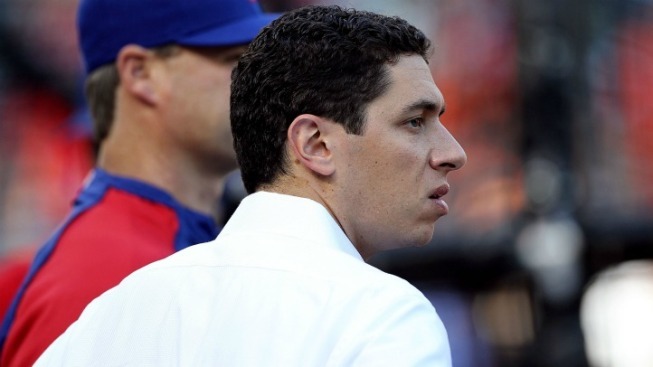 But after two World Series appearances and a change of ownership, Ryan and Daniels got into a tug-of-war for control of the baseball operations. New management controversially sided with the kid educated at Cornell over the legend who grew up in a clubhouse. It was — and still is — the right move. Daniels’ hire, Jeff Banister, will likely win AL Manager of the Year. Prince Fielder for Ian Kinsler looks pretty good right about now. His plug-a-hole finds have helped the Rangers win when we figured all was lost. Mike Napoli. Drew Stubbs. Chris Giminez. Sam Dyson. Delino DeShields, stolen from the Astros in last Winter’s Rule 5 Draft. And Hamilton, hitting two homers Saturday and producing a key hit in Sunday’s crucial 7th inning — all on the Angels’ dime. And let’s not forget Sunday’s pitcher, Cole Hamels. It might go down as one of the most savvy acquisitions in the history of the franchise. In late July the Rangers got Hamels and lefty reliever Jake Diekman in exchange for Matt Harrison and five prospects. We saw how dominant Hamels can be, as he shut down Anaheim on three hits. The best part? The Phillies also sent Texas $9 million in the trade, meaning it will get an ace at the low-budget cost of around $12 million per year over the next three seasons. And in 2016? Imagine Hamels alongside one of Daniels’ other accessories, fellow named Yu Darvish. No offense to the legacy of Nolan Ryan, but it’s Daniels’ moves that have led the Rangers back in the postseason. Big Tex? These days he’s merely the Big Ex.